There is perhaps but one word to describe the Golden Mile Tower, Brutal. Not so much in the vein of an impossibly tough life, but rather a design concept based on the Brutalist Architecture movement, adapted from the French word béton-brut (meaning raw concrete) that was popular during the 1950s to 1970s. 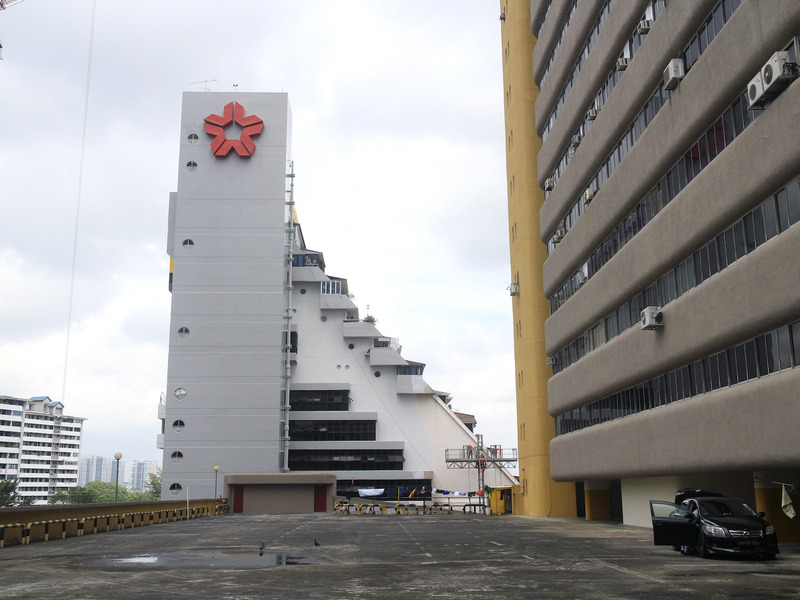 View of The 24-storey Golden Mile Tower from Nicoll Highway Bridge. 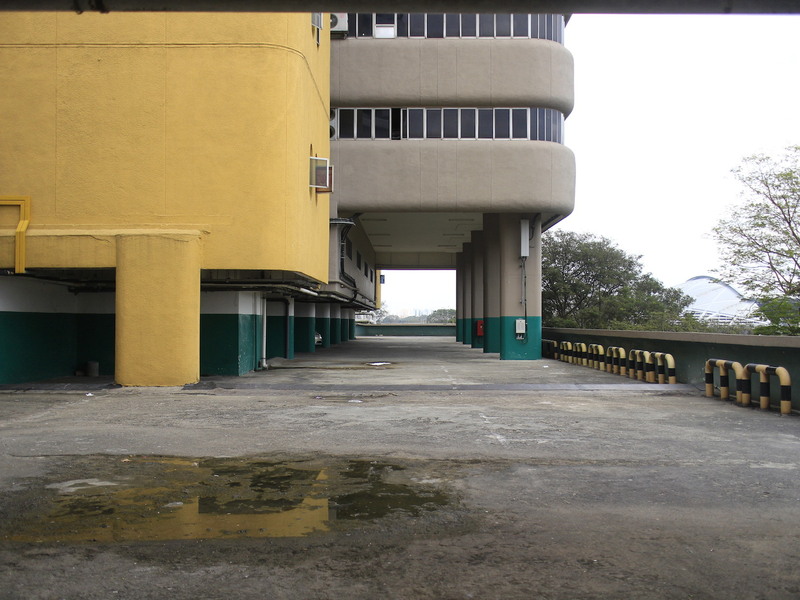 The Golden Mile Tower was built back in 1973 and completed in 1975 as part of the Government’s urban renewal scheme and was designed by the Goh Hock Guan Design Team. 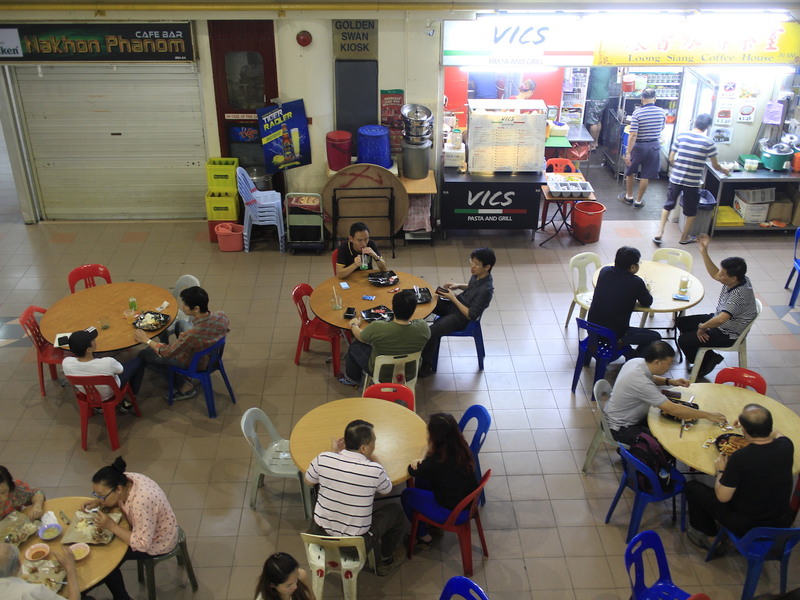 Sitting interconnected to its more illustrious neighbour that is the Golden Mile Complex; the 24 floors of the Golden Mile Tower serve mainly offices, tour agencies and an array of food and commodity shops, most of which cater to the nearby office crowd or tourists waiting for their coach ride to Malaysia. A clearer picture of the Brutalist Architecture of the tower, where the big blocks of concrete shapes dominate. 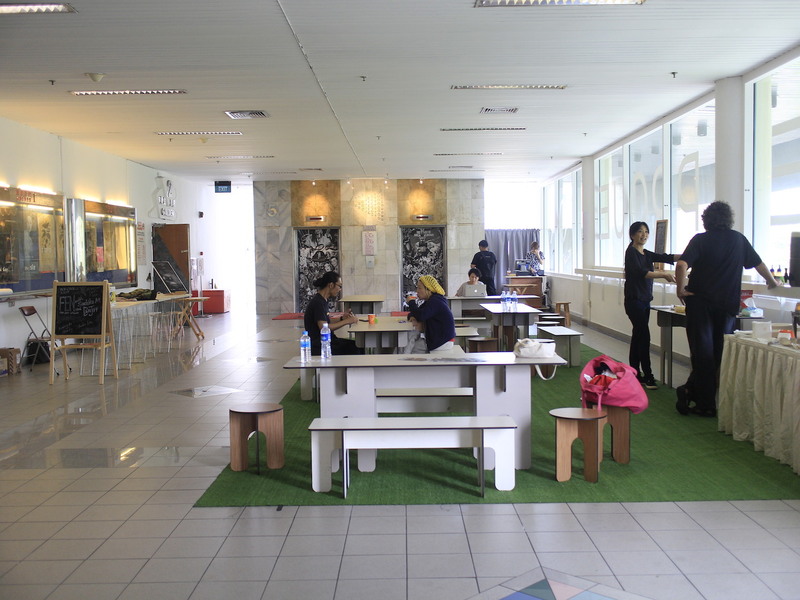 For office goers and those waiting to head to Malaysia by coach, the coffeeshops are the perfect spot for a rest. 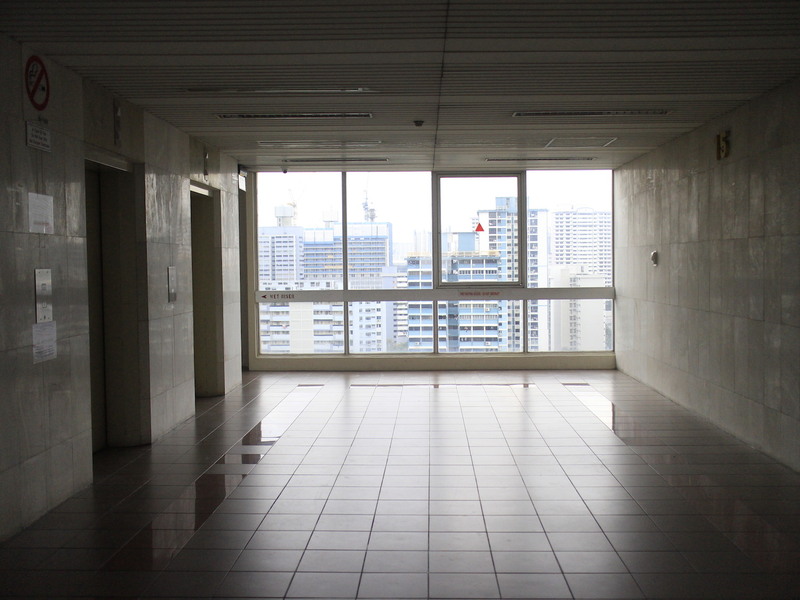 A view of the office lobby from the 15th floor. Most levels are barely occupied. 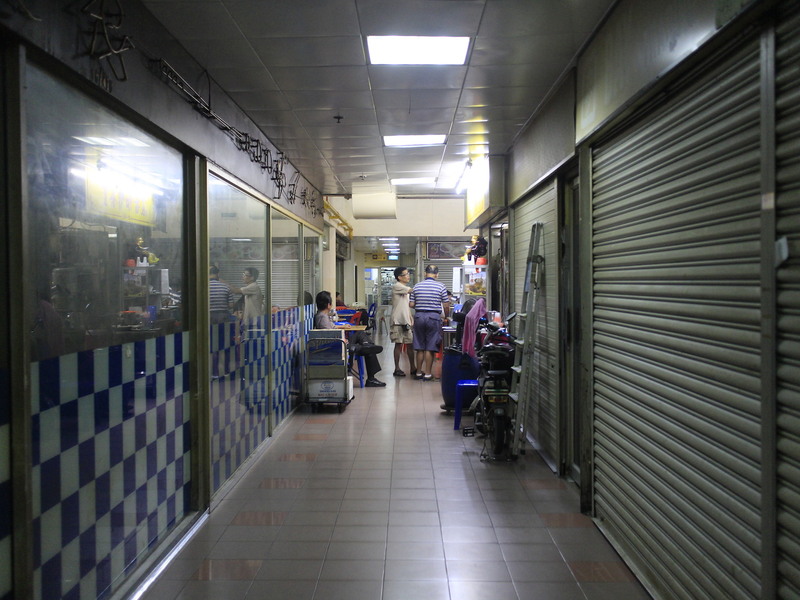 Like the early-day shopping malls, the central air-conditioning keeps visitors cool throughout the mazy walks along the corridors, where Thai Disco Bars are just as at home as a Philatelic store. Flourescent lights, shuttered shops and angled open stairways are the other key elements of the tower’s make-up. Golden Mile Tower. 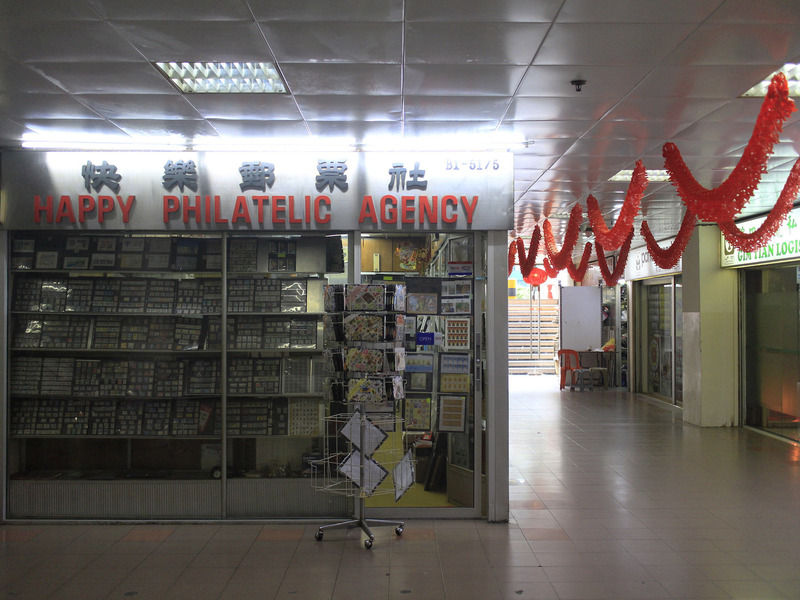 Where Thai Discos and Philatelic shops sit side-by-side. The Golden Mile Complex, with its stuccoed residences sit seamlessly beside the Golden Mile Tower. 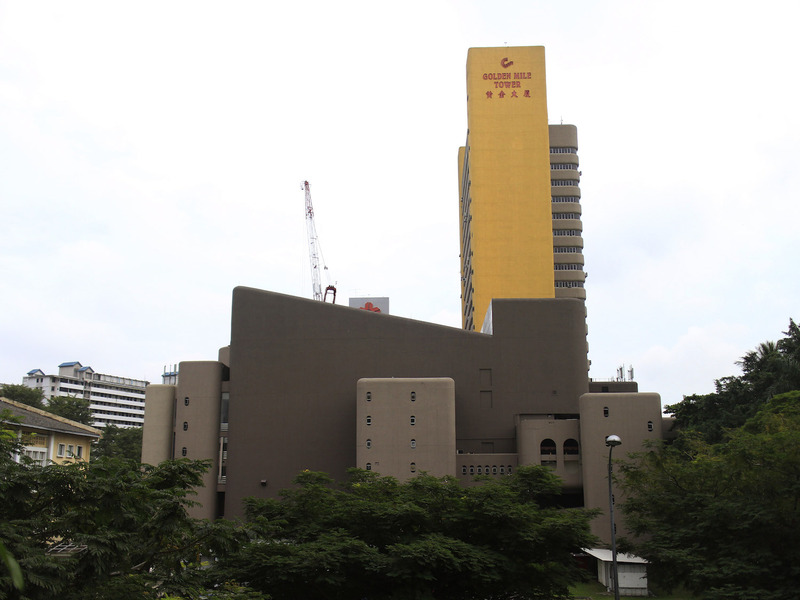 Another landmark within the Golden Mile Tower is the Golden Theatre. 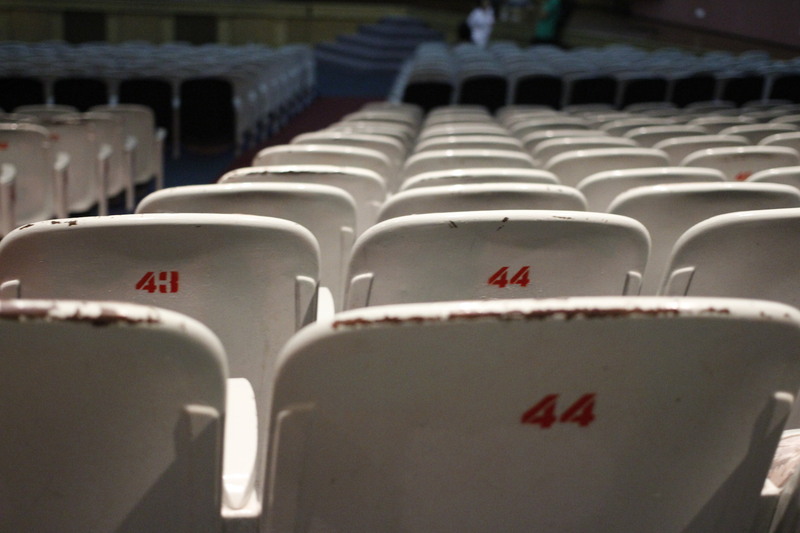 Opened by the Chong Gay Theatres, it was once the largest cinema in Singapore with its 1,500 seating capacity. The Golden Theatre screened blockbuster Chinese films up till the 1990s, when the hall was split to show mainly Hindi and Tamil films. 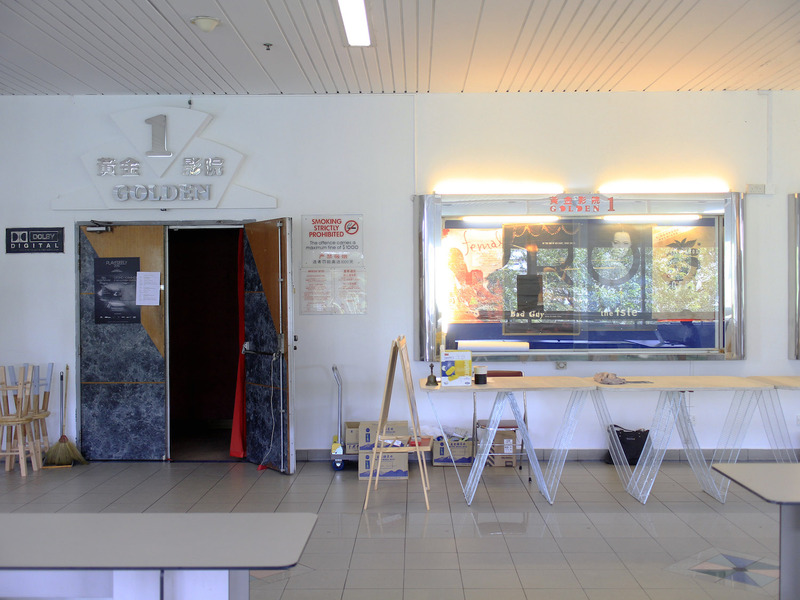 Today, the theatre is also home to The Projector, a new independent cinema that aims to being back the joys of film-going culture in Singapore through cult-classics like The Shining and 2001: Space Odyssey, as well as to serve a platform for more local films like The Obs: A Documentation. The 5th level of the Golden Theatre is now occupied by The Projector, a new independent cinema in Singapore.